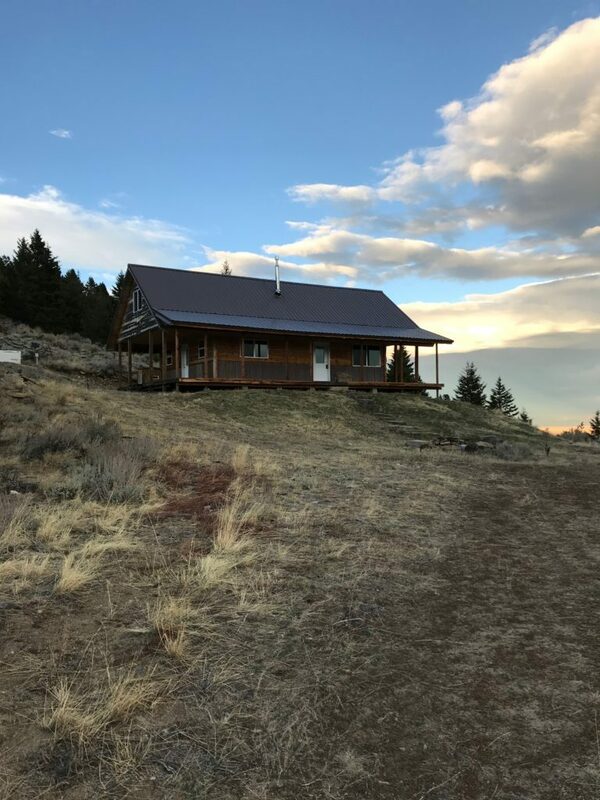 Dizzie Chick Cabin is an adorable 4 bedroom, 1 bath cabin with spectacular views, located on Strawberry Ridge, overlooking the quaint town of Pony, Montana and the Willow Creek valley. 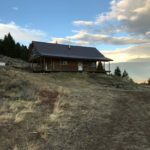 Nestled into very interesting rock formations to the west, and facing South East, the cabin is perfect for folks wanting to get off the beaten track with incredible privacy. The cabin’s wrap around deck is a wonderful spot to take in the awesome view and surrounding natural world. There is hiking from the cabin and also nearby on national forest and BLM lands. The cabin itself is very cute inside, with sleeping for up to 8 folks. There are two private bedrooms as well as two cozy loft areas, one that is perfect for the kids, or kids at heart! The open kitchen, dining and living area is cute and provides a beautiful view as well. Located an easy 10 minutes west of Pony, and 15 minutes from the new wedding venue, the Y Knot Barn, makes the cabin a good choice for wedding attendees. Yellowstone National Park is a beautiful two hour drive away. Fishing in the immediate area includes Harrison and Cataract Lakes and the Madison and Jefferson Rivers. For the fisherman who likes to hike, there’s Hollowtop, Albro and Bell Lakes, to name a few. Hollowtop Mountain is a popular local hikers attraction. Nearby bigger towns include Bozeman, Butte and Helena. Places to eat nearby include the Pony Bar, Harrison Cafe and Willow Creek Cafe (known for their scrumptious ribs!). The Pony Bar has made many a news story due to the wonderful atmosphere, great owner, local characters and good music.